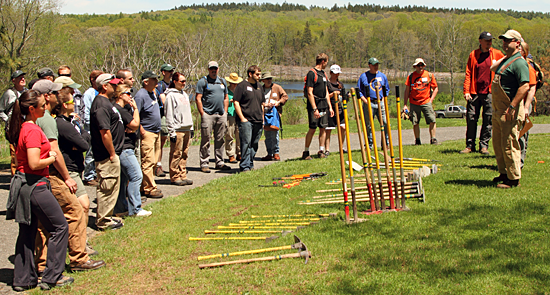 Online registration is now open for Midcoast Maine NEMBA's Trail School with the Georges River Land Trust. Coffee, snacks and lunch will be included, and there will also be an option to purchase IMBA's trailbuilding textbook, IMBA Trail Solutions (supplies limited). The cost is $35. Please bring $40 (cash or check) if you wish to purchace IMBA's book, Trail Solutions: IMBA's Guide to Building Sweet Singletrack. The clinic will run from 8am to 4pm, and there will be an optional group ride at 4:30 on the local trails. The clinic limited to 50 people, so register early.